Abstracts are due this Friday for the fall ION GNSS conference. ION GNSS 2010 is the 23rd International Technical Meeting of the Satellite Division of the Institute of Navigation. 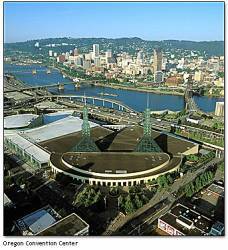 It will take place September 21-24, 2010 at the Oregon Convention Center in Portland, Oregon USA. Abstracts may be submitted using online at the website below or emailed to abstracts@ion.org. ION GNSS 2010 is the world’s largest technical meeting and showcase of GNSS technology, products, services and features more than 250 technical papers.